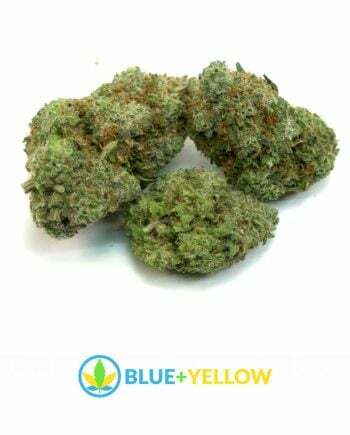 This potent indica dominant hybrid, with a sativa/indica ratio of 10:90, can reach THC levels of up to 23%, which makes it one of the stronger medical strains around. It has a pungent but sweet earthy flavor and a slight woody/piney smell that can be hard to detect. The dominant feeling while high is one of total relaxation, along with euphoria and sleepiness, all products of the strain’s genetic heritage.